With only a week to go until we can finally stop speculating about the 3G iPhone, how about 372 pages of patent application describing every last detail of what might be in the device? The US filing contains details of GPS chips, video conferencing and even software for posting to a blog from the phone. Of course, none of this means very much – just that Apple has at some point considered these features - but perusing the tome should while away the days until 9 June. 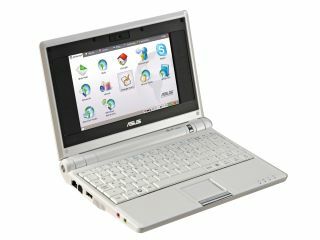 Far more useful than idle chitchat is the news that owners of the old Asus Eee 701 PC can now add a touch-sensitive screen to their favourite mini notebook. Website jkkmobile has instructions on fitting the screen and, best of all, there’s no need to solder anything. The site doesn’t mention the price, but the Chinese-language online shop linked to suggests it’s around £170. Next, if you’d like to give most of your personal information to the Chinese government then go ahead and buy a ticket to the Beijing Olympics. The still-undelivered tickets are currently being kitted out with RFID chips that hold home addresses, passport details and more. The idea is to prevent forgery, but it’s pretty clear that the Chinese are getting into some very murky waters here. We’re sure this won't be the last we’ll hear of the issue before the games in August. One-off data risks are bad enough, but how about exposing yourself to a system that watches you constantly during a plane flight? A trial by the EU’s Security of Aircraft in the Future European Environment foresees cameras in aircraft cabins that monitor every passenger for signs that they might be up to no good. Anyone moving in a suspicious manner or even sweating too much could be a security risk and may be reported to the airline staff for a quick response. Short of avoiding flying, there’s little we can do about such intrusive measures, although simply not putting up with them – as this small Minnesota town did with Google Maps – might force big businesses to listen to their customers. That’s it for now, but stay tuned to TechRadar for the rest of the day’s news as it breaks or grab a feed here - get it while it’s hot.